Tesla unveils two new models - can they deliver? Tesla have launched two new all electric models. First, and highly anticipated came the ‘truck’, due to enter production in 2019. Perhaps a little more unexpected was the announcement of the all-new roadster. The Tesla Semi reportedly has a range of 500 miles, making it a very viable option for haulage in the UK market. 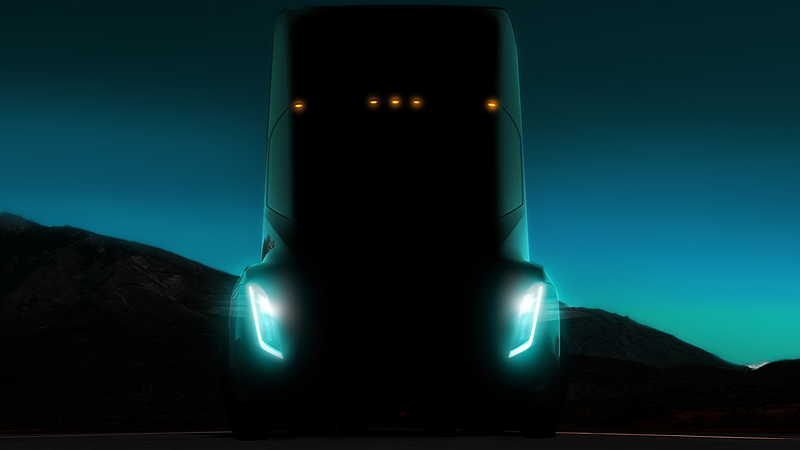 In typical Tesla style, the Tesla Semi can accelerate at incredible speed – 5 seconds 0-60mph without a trailer and 20 seconds with a trailer. Tesla say that high speed charging allows the truck to gain 400 miles of range in just 30 minutes. 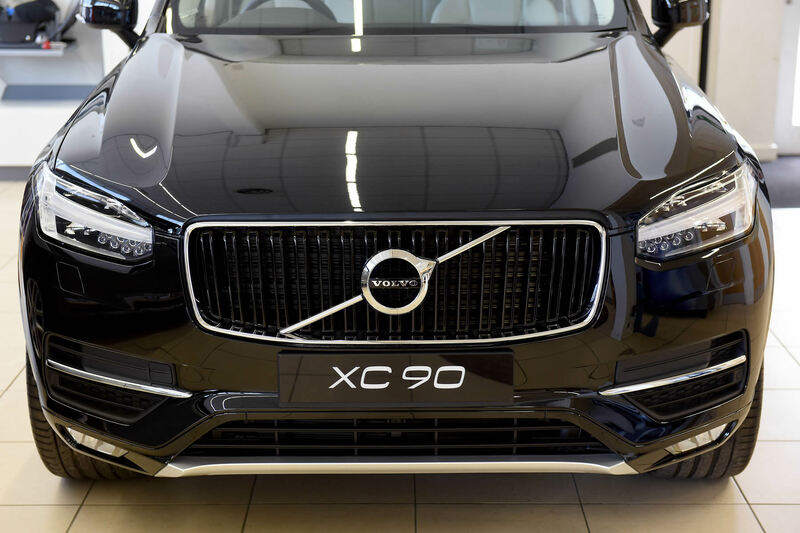 As with all electric vehicles, it is expected that the vehicle will be more reliable and present huge cost savings for customers without the need for servicing of moving parts, and with no oil or fuel. Tesla expect that owners can save up to $200,000 over a million miles in fuel costs alone – a distance that the motors are anticipated to last for. In addition to cost savings, the vehicle is extremely safe and is designed to a higher safety standard than any other lorry on the road. Along with a low centre of gravity allowing superb handling, the batteries and the glass are reinforced, preventing any damage during an impact. Jack-knifing is prevented due to on-board sensors and automatically reacting with each individual motor to re-stabilise the lorry and trailer. Of course, it will come with Tesla’s self-driving capability through enhanced Autopilot. Perhaps unexpectedly was the launch of the new roadster. The original roadster, Tesla’s first model was made from 2008 to 2012 and was rarely seen on UK roads. However, the second-generation roadster promises a lot of new technology and incredible performance. The all-new roadster takes performance to a new level with headline figures of over 600 miles in range and a 0-60mph time of under 2 seconds and has a top speed of over 250 miles. Elon Musk, Chief Executive of Tesla said that it will be the fastest production car ever made. It has a torque rating of 10,000 Nm – far greater than any other car on the road today. 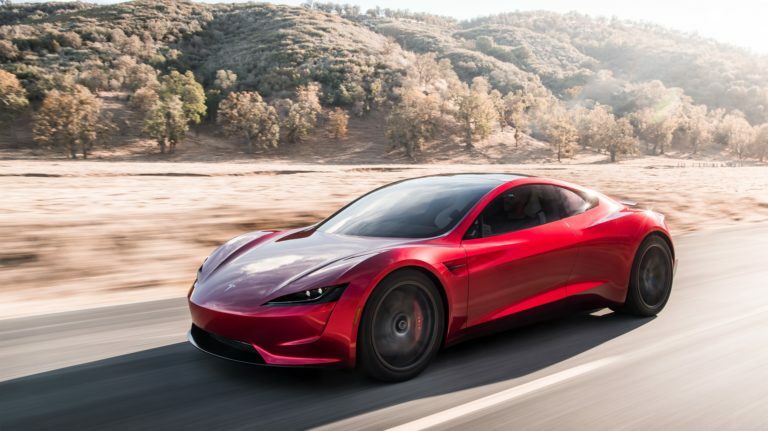 The new roadster is said to enter production in 2020. Tesla have set a base price for the vehicle at $200,000, but you will need a reservation of $50,000 to secure one. The question everybody has is will the company be able to deliver. After delays with previous models including the Model 3 and concerns expressed by investors, Tesla will need to be certain they can deliver before making too many promises.